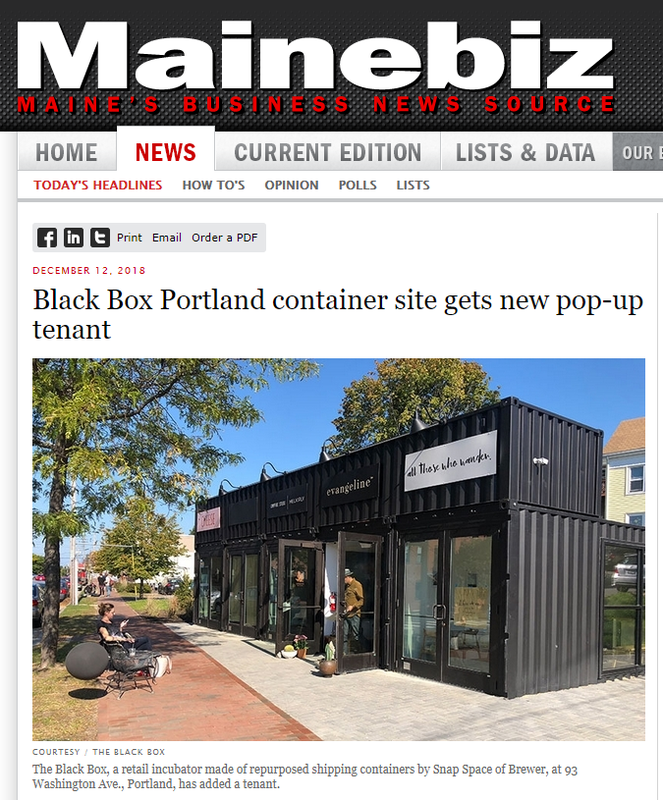 PORTLAND, Maine (December 11, 2018) - The Black Box on Washington Avenue, Portland’s first converted shipping container and retail incubator, is pleased to announce Star Cousins as its newest tenant to the move-in ready space. Launched in 2017, Star Cousins is a textile studio based in Portland with a focus on handmade, one-of-a-kind textiles from around the globe. While sourcing the textiles from afar, all of the finished products are made locally. Owned and managed by Abigail Pratt, Star Cousins is occupying an end unit of The Black Box as a pop-up storefront through January, weekday hours 11:00 a.m. - 7:00 p.m. Follow Star Cousins on Instagram for holiday hours and product updates. "I am so excited to have the opportunity to use this amazing shop space for a few weeks,” said Abigail Pratt, owner of Star Cousins. “It's a great way to test the waters of doing retail and hopefully only the beginning. I usually work out of my home so being able to interact with the public is very exciting to me. I hope people come in not only to shop but also to learn more about our process and the beautiful textiles we use!" Follow Star Cousins on Instagram for holiday hours and product updates.